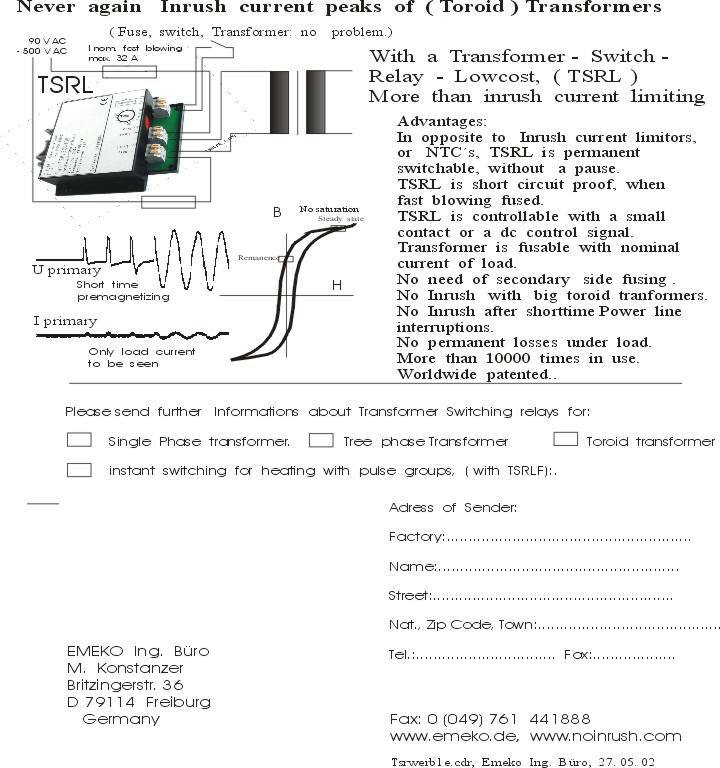 Home > Transformer softstart Introduction > Function of TSRL and TSRLF. The Function of TSR switch on procedure for single phase transformers is based on a controlled premagnetizing, this is patented in some countries. 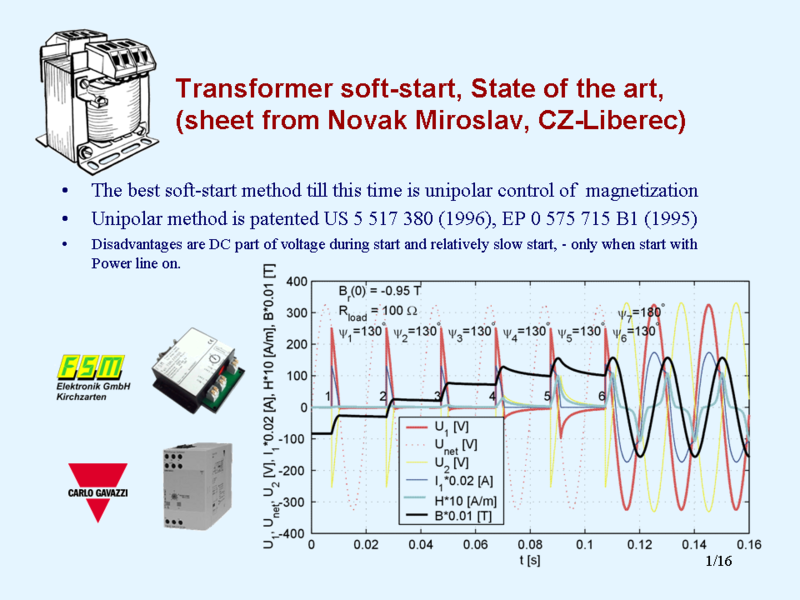 TSR-Function: Premagnetising of the Transformer with unipolar Voltage Time impulses until the remanence reaches the max. point. Then full switch on, then close the bypassrelay contact.